Happy Valentine's Day!! Did you know that nearly 150 million cards are exchanged each Valentine’s Day? Or that more than 40,000 American are employed at chocolate companies? And, 2.2 million marriages take place in the United States annually. That breaks down to more than 6,000 a day!! That's crazy! I love fun facts like this. Do you know any fun Valentine facts you'd like to share? Comment below! I'd love to hear! Okay, now on to the reason behind this post today. 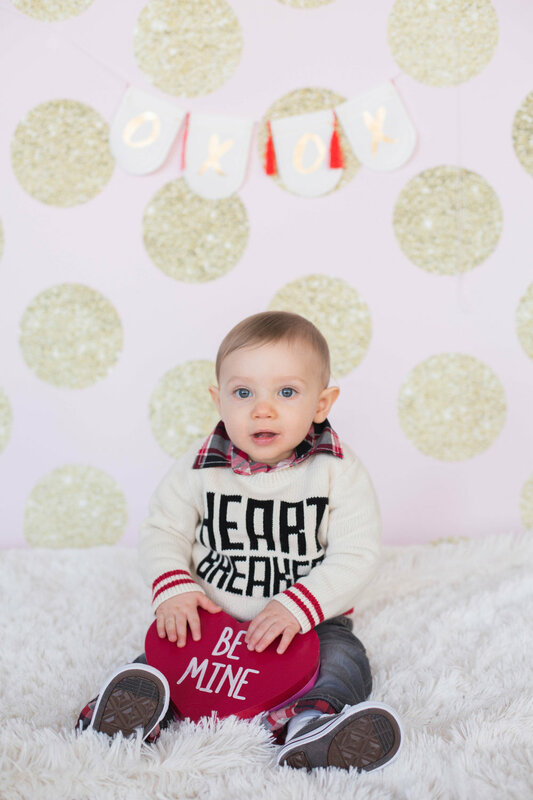 I had to post these adorable Valentine photos of sweet little Harrison today of all days. 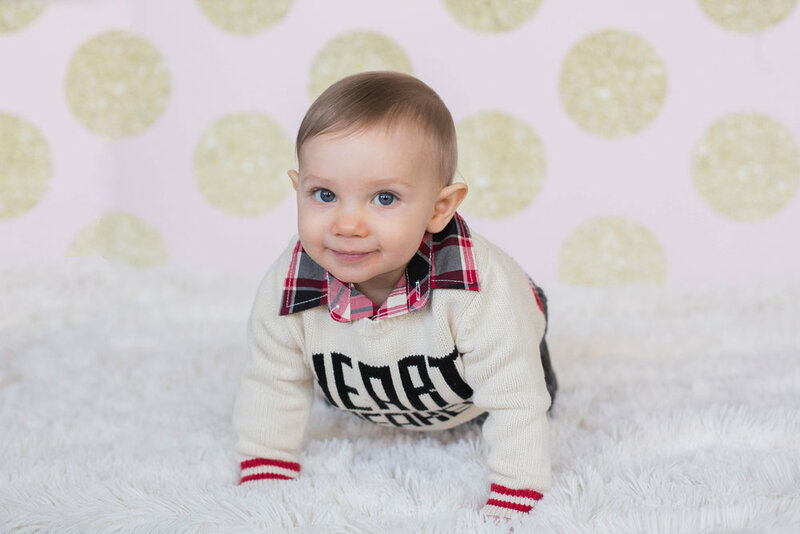 For the first time ever, I offered Valentine Mini sessions at the studio I rent in Fall River. Before this year, I didn't have the studio space to use for indoor sessions, and obviously living in Massachusetts outdoor sessions this time of year is pretty much a big NO. Since I have finally have some studio space, I figured I'd try out some Valentine Minis. I always have fun choosing decorations and props to use. I carefully choose different items that will match the backdrop I have in mind, so that the images will come out adorably perfect. Harrison is one of my Grow With Me babies. I've been capturing him every couple of months since he was a newborn, he's now 8 months and I'm loving watching him grow! I love capturing babies in their first year, because it amazes me how much they change. They have SO many firsts, and a lot of those I'm able to capture and document on camera. At the end of every grow with me session, mom and dad get a keepsake album. 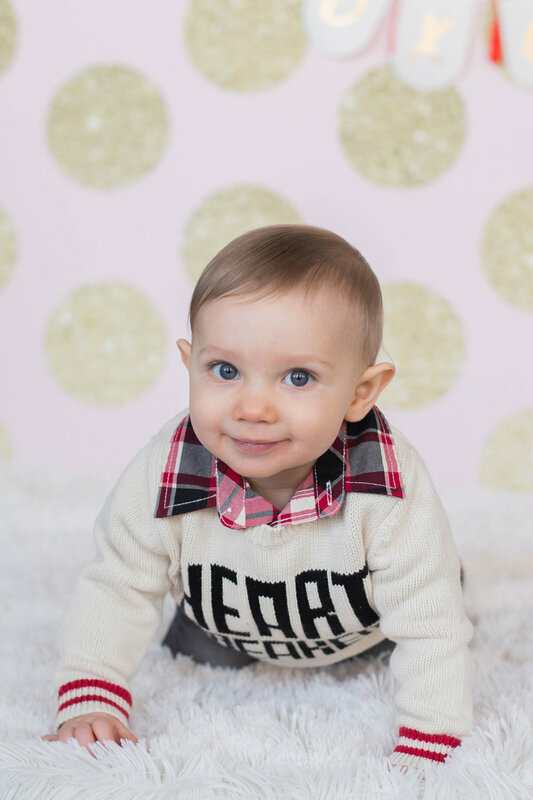 Harrison's mom has not only booked him regular grow with me sessions, but almost every one of my minis! My minis are usually centered around holidays, so it will be super fun putting his album together later this year. I'm sure you're all ready to see some cuteness! Harrison is such a sweet boy, and was so fun to capture! I hope you enjoy some of my personal favorites from the session below.